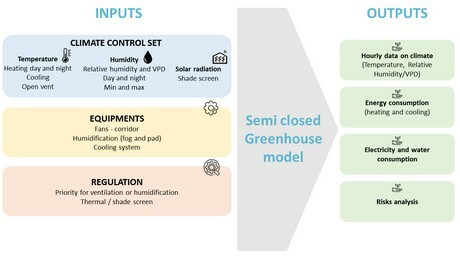 "Calculating how various decisions will influence the climate in the greenhouse"
Energy is one of the largest expenses in greenhouse growing. Today, there are many technical solutions to help drastically cut the power bill. And yet, identifying the best possible setup among the many technical and climate solutions available, is still a huge challenge that needs to accommodate production targets. That's why the French engineering company Agrithermic created the Hortinergy software - calculating exactly this. Recently they've added an add-on for the semi-closed greenhouse. Yesterday they were awarded the Sival D'OR 2019 at the Sival Innovation competition in the Services and Software category. A good day for Vincent Stauffer and his colleagues from Agrithermic. 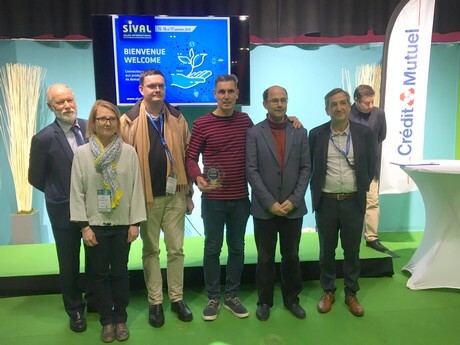 The software that the company developed for making better decisions in the greenhouse, has been awarded the Sival D'Or - the highest award for novelties at the French exhibition Sival. It will be an addition to their prize cabinet. "Hortinergy is online modelling software allowing to calculate the energy consumption in greenhouses anywhere worldwide", Vincent Stauffer with Agrithermic explains. "By comparing the various technical solutions available to you, you can find the optimal configuration for your objectives and eventually reduce your energy costs sustainably." Also the software can calculate how various decisions will influence the climate conditions. He shows how the algorithms take into account greenhouse specific parameters. "The light transmission depends on the cover material, for example. We also use the evapotranspiration of the plant cover based on the outside climate, various internal set points, the crop type and leaf area index - you name it and we measure it." Also there's various technical solutions used from a database. "Types of glass, plastic membranes, climate screens", he sums up. According to Vincent, Hortinergy is the ultimate decision-making tool. "It offers a great way to forecast the operating costs, even before a greenhouse is built. The same goes for retrofitting of the greenhouse: calculations can be done before you start the renovation or the investment. The software is also to help you with decisions in the cultivation. If you change the screens or the screen settings, the climate conditions will change as well. With the software we can simulate this. Users can compare several technical and economic scenarios." The semi-closed greenhouse model. Read more about it here. Therefore the interest in the software is broad: greenhouse builders, crop advisers, consultants. "Hortinergy can be used in various crops: tomatoes, cucumbers and peppers, but also potted plants and cannabis. By entering the details of the specific situation, it calculates various options and therefore offers more insight on the greenhouse. It helps you to make decisions since it calculates the result on forehand." Last year an add-on was created for 3 screens management and recently an extra tool for the semi-closed greenhouse was published. Currently this new model is under validation with 2 semi-closed greenhouses located in CTIFL in Carquefou and Balandran in France. "A mild & wet climate and a hot & dry climate", Vincent concludes. He will share the results in June 2019 at Greensys and at the GreenTech.